Microwaves are smart these days, but we outsmart them. With up to date training and long experience in all services related to home appliances, our technicians can help you with your microwave problems. 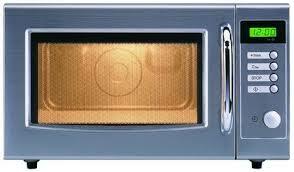 We offer microwave repair in Old Bridge, New Jersey, are available for same day service and are always well-equipped when we come to your house. Did the appliance fail to heat up evenly your food? Doesn’t heat up easily? Doesn’t it work at all? When you can’t use your microwave, use our services. At our Appliance Repair in Old Bridge, we fix all microwaves in a timely manner. Most microwave problems are fixed. Don’t throw your appliance away or stop using it over a few problems. Call our company for microwave repair today. Our local technicians have expertise in all types of microwaves. Do you have drawer or counter top microwaves? Is your appliance smart? There are many microwaves in New Jersey. Some have a simpler mechanism and some are connected to smart homes, but they all must allow you to make popcorn, heat up your food and prepare anything you like. If they fail to do so, give us a call. A simple problem with the microwave’s fan motor can keep you from using the appliance. Fuses might blow and the turntable might not rotate. Our experts check and troubleshoot the problem in order to make diagnosis of the current problem. Burned out and worn microwave components are replaced. Rest assured that the replacement of the parts is done right away since there are spare parts in our trucks at all times. We can replace switches, diodes, belts, capacitors, fuses or fan motors. Our technicians only engage in the microwave service if they know they can fix the appliance. But you can rest easy that most issues are fixable. Don’t hesitate to call us even if there are only occasional problems with your appliances. We can prevent them from getting totally damaged or wasting energy. If you want timely microwave repair Old Bridge service you can count on and trust, get in touch with our team.